We are producing very fine structure, easy, friendly to curly and long life prebonded hair & hair extensions. To accomplish the numerous requirements of the clients, we are engaged in providing a high quality range of Pre Bonded Hair Extension. One can avail a wide assortment of I-tip Extensions is provided by us to customers. Our professionals strive hard to provide best quality products to customers in wide range. The I-tip Extensions is highly appreciated and available in the market at pocket suitable price. Hair style Silky straight, body wave, deep wave, water wave, yaki straight, natural wave, jerry curl, afro curl, loose curl..etc., and we can make according to the customers’ requirement. Keeping track with latest market trends, we are devotedly engaged in offering a wide assortment of Pre Bonded Hair Extension. Also known by the name, Keratine hair, the Pre-Bond Hair Extension, which we make available, is a nice way to add wonderful length to hair. 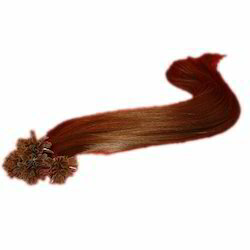 Our Pre-Bond Hair Extension is a quick and easy way to change the looks. 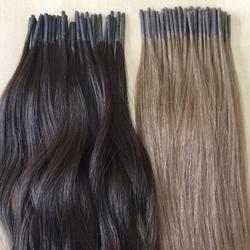 We are Delhi based Manufacturer, Supplier and Exporter of the Pre-Bond Hair Extension.